The unit is easy to set up, use, is self-contained, and provides for a safe, controlled training environment. 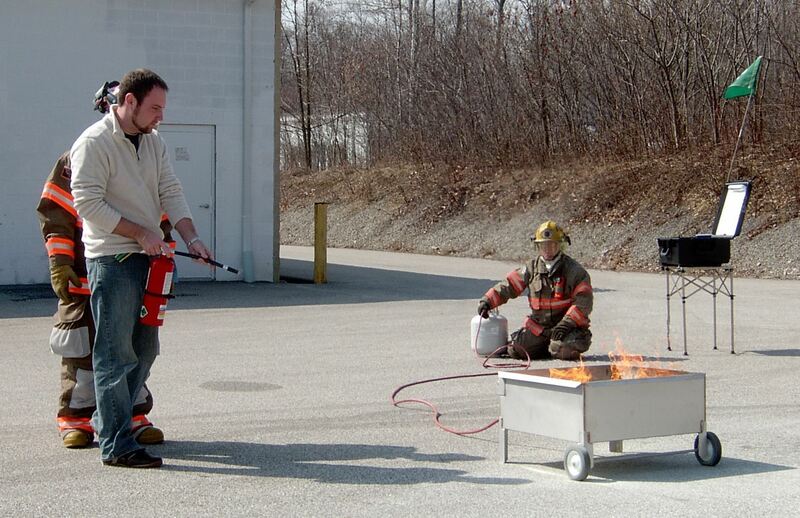 The Burn Pan fire extinguisher training prop lightweight, portable, inexpensive, and small enough to fit in most vehicles. The fire extinguisher Burn Pan has a deep 16 gauge, 304 grade stainless steel pan that contains the controlled fire while providing long product life with no rust. The fire extinguisher Burn Pan has sturdy supports for set up on any flat, non-combustible surface. 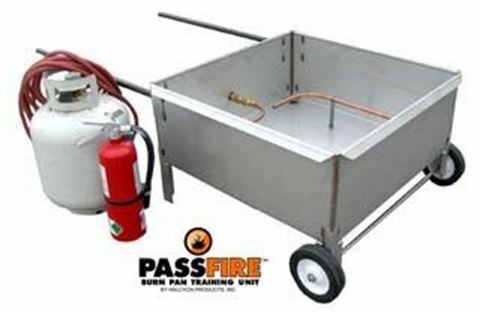 The fire extinguisher Burn Pan is a cost-effective, portable solution to contained, controlled burns for fire extinguisher training purposes. 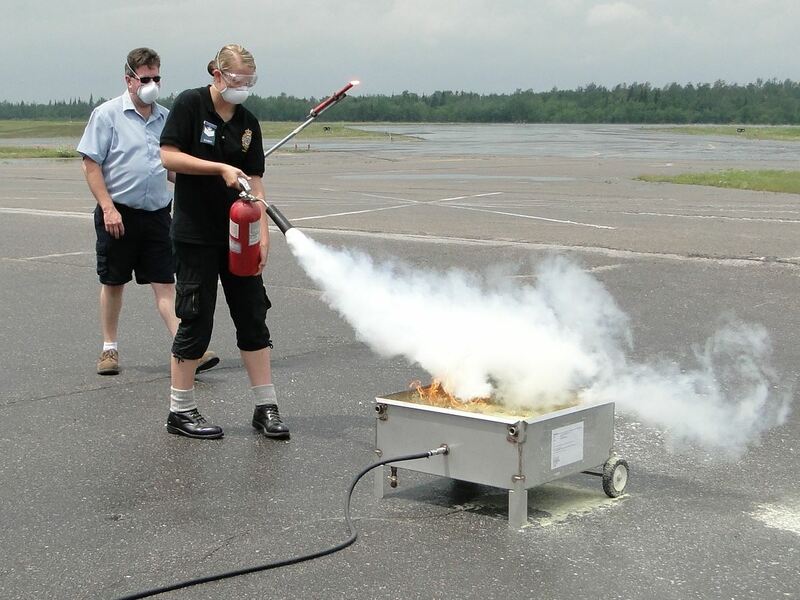 It can be used by fire departments, training firms, or by trained firefighters who are responsible for fire extinguisher training props. Note: PassFire Burn Pan does not include fire extinguisher or propane tank.